Helen Thomas, the tenacious and feisty dean of the White House press corps who covered 10 presidents and was a trailblazer for female journalists, has died. She was 92. Thomas died today at her apartment in Washington, her friend Muriel Dobbin told the Associated Press. She had been in declining health and had recently been hospitalized. Thomas was raised mainly in Detroit, Michigan, where her family moved when she was four years old, and where her father ran a grocery store. 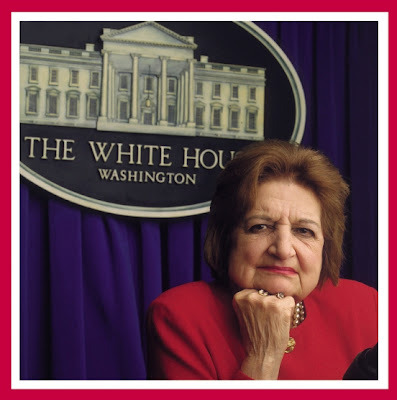 Helen Thomas (August 4, 1920 – July 20, 2013) was an American author and former news service reporter, member of the White House press corps and opinion columnist. 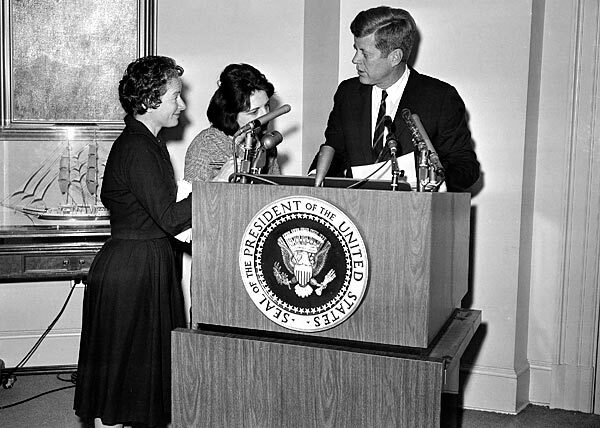 She worked for the United Press and post-1958 successor United Press International (UPI) for 57 years, first as a correspondent, and later as White House bureau manager. She was a columnist for Hearst Newspapers from 2000 to 2010, writing on national affairs and the White House. She covered the administrations of ten U.S. presidents—from the final years of the Eisenhower administration to the second year of the Obama administration.